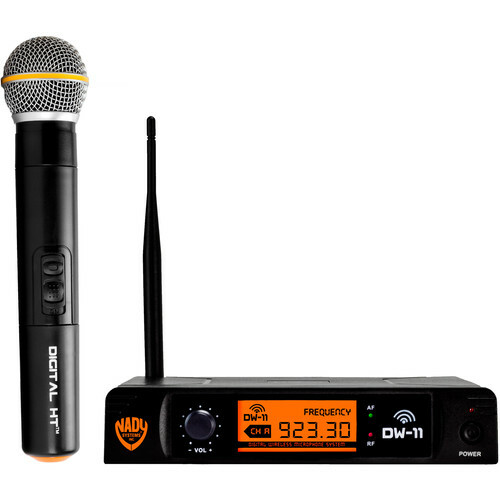 The handheld mic-equipped DW-11 HT Digital Wireless Microphone System from Nady Systems is a streamlined wireless system with 24-bit conversion that will be suitable for performances, karaoke, and other public address applications. It provides a 48 kHz/24-bit digital conversion for audio clarity with frequency response across the entire audible range (20 Hz to 20 kHz). Box Dimensions (LxWxH) 16.4 x 13.9 x 2.8"